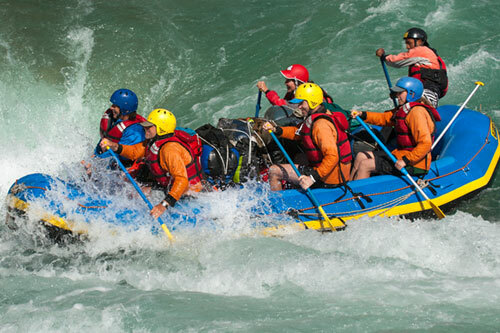 Nepal is a favorite destination for rafting enthusiasts and adventure seekers, rafting is the perfect way for an extended adventure on the river to get your adrenaline pumping to a new high. Nepal has some of the best rivers for rafting. The rivers in Nepal offer amazing knowledge/ experience for everybody: Grade 5-5+ rivers with raging white water rapids for the adventurous, to grade 2-3 Rivers with a few rapids for beginners. Rafters also have a choice ranging from two to three day trips to trips of two or three weeks. Paddling is a fun way to enjoy the trip as well as bonding with fellow rafters. As the course of river takes one from the Cold Himalayan region to the hot humid plains of Terai, a vast changing landscapes unfolds before the beholder, unraveling the unmatched beauty of Nepal. Snow capped mountains, terraced hillsides, lush green valleys and delightful little villages from part of the landscapes as the boat floats down through narrow George and expansive valleys are the highlights of your trip. There is much experience along the rivers of Nepal; People of many ethnic groups are encountered along the trip make the journey more pleasurable and vast conversant. 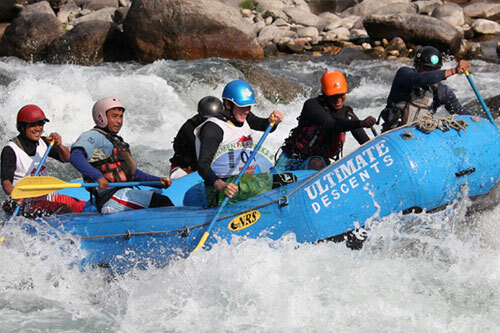 The rafting trips in Nepal also include the trek as a means to reach the river put in point. This greatly adds to the adventure as trekking is one of the most popular tourism attractions, A treks allows a visitor to enjoy the enchanting beauty of Nepal's diverse landscape while rafting is also a fun way to reach various destinations like the Chitwan national park, Bardiya National Parks. Tourists take a rafting trip to reach Chitwan, where they embark on a safari in a well preserved Chitwan national Park. Similarly, rafting down the Bheri and Karnali River in Nepal is an exciting means to reach the Bardiya National Park offers the wide range of flora and fauna. 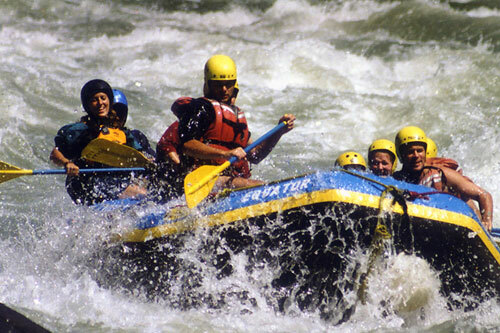 The best time for rafting is from September to mid-December and March to May. 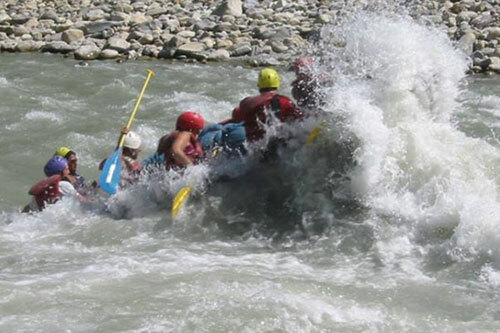 In rafting trips in Nepal also include the trek as a means to reach the river put in point. winter the water is cold and during the monsoons months from June to August, the white water sections are dangerous, but gentler stretches are easy to raft on.